A templestay is a wonderful way to rediscover oneself. 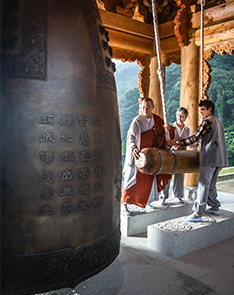 The sound of temple bells resonates within the tranquil temple grounds, rendering peace in the hearts of temple visitors. A templestay provides sanctuary from city life, as well as time and space for meditation and healing. Read on to learn more about this popular traditional culture experience program. 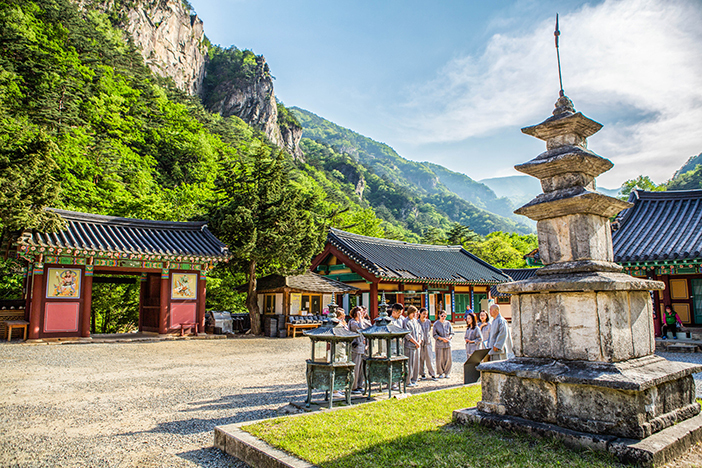 Templestay is a unique opportunity to experience Korean Buddhism, its daily lifestyle, rituals and spirituality. It generally entails staying at a Buddhist temple and engaging in daily monastic activities. Today, templestay is considered as one of the most popular programs among locals and foreigners for experiencing Korean Buddhism. Generally, a templestay program includes a Buddhist service, seon meditation, the 108 prostrations, and communal work. 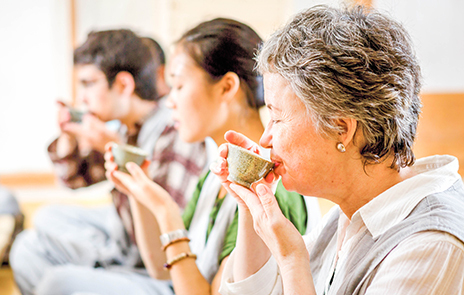 Some programs also educate participants on monastic meal offering and tea ceremony rituals. Another common program is making a lotus lantern, a form of Buddhist art; the lotus-shaped lantern symbolizes a light that brightens the dark world. 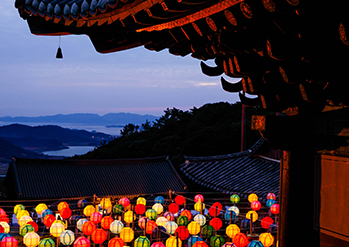 Lanterns are hung on Buddha’s Birthday, eighth day of the fourth month on the lunar calendar, at all the temples and cities throughout Korea. 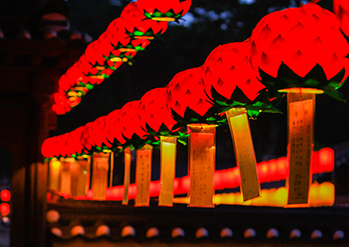 During the month of Buddha's birthday, a variety of events, such as the Lotus Lantern Festival, are held throughout the nation, attracting many tourists from near and far. Please visit the Templestay website for information and reservations. The Templestay Center is located across from Jogyesa Temple in Seoul. The center provides comprehensive information on templestay programs and the temples that offer templestay programs. The center also provides language assistance in English and reservation services. For those who cannot visit the center in person, reservations can be made through the website. Jonggak Station (Seoul Subway Line 1), Exit 2. Walk approx. 5min. Anguk Station (Seoul Subway Line 3), Exit 6. Walk approx. 5min.